If you own a home, it helps to understand what kinds of issues are truly problematic and what kinds of issues are not causes for concern. This will allow you to make an informed decision about whether to call a contractor and seek foundation repair serving San Antonio . Watch this video clip if you could use some assistance in identifying foundation issues. While it is important to realize that foundations frequently have some sort of cracks, it is still important to know when you have a problem on your hands. Cracks that are more than an eighth of an inch wide and appear both inside and outside of your home may be problematic. 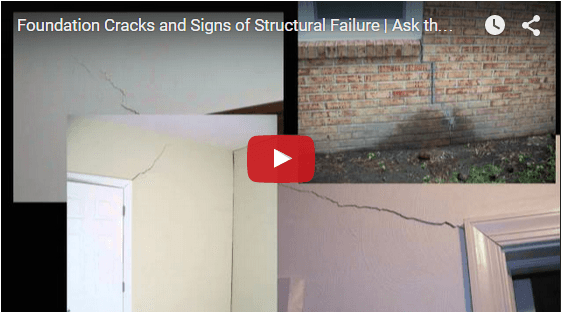 These cracks could indicate the bending of your foundation. Cracks that have sides of different levels may suggest that your foundation lacks reinforcing steel, which can also be a problem. Always have a professional diagnose your foundation issues.